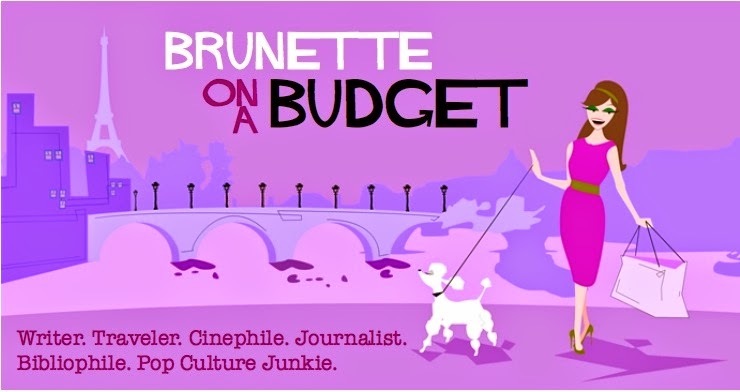 Brunette on a Budget: Best. 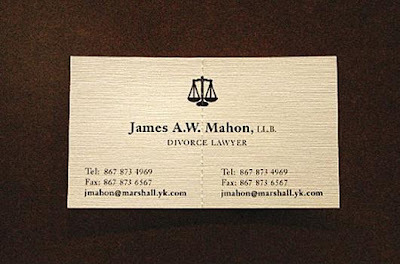 Business Card. Ever. What better way to make light of an otherwise awful situation than one single, perforated line? Well played, James A.W. Mahon. I've seen that before on a resume/biz card site for "best in class" examples. I concur. HA! That's great! Can't wait to show BF! Are you living in Walnut Creek? Have you seen the sign on Ygnacio for the divorce attorney that says "Divorce For Men Only". Cracked me up daily on the way to Bart - so silly and sexist, but so amusing all at the same time.